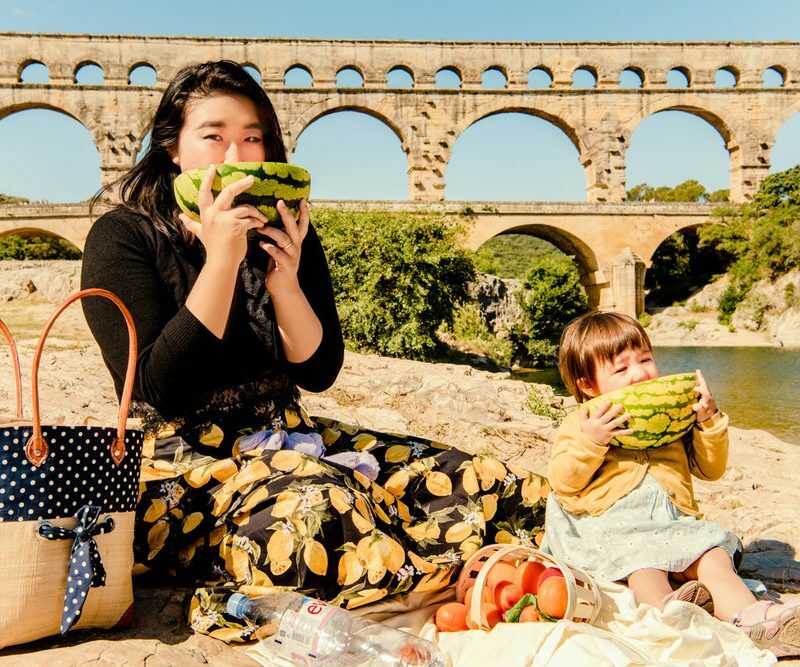 The Roman aqueduct at Pont Du Gard is the centerpiece of a beautiful park, and the banks of the river are ideal for a picnic. Jake and I love to do picnic photo shoots when we travel. They do require a little more planning though, photogenic food don’t prepare themselves. Pont Du Gard is in the South of France, about a 30 minute drive from our base in Avignon (Google Maps Directions). We were really looking forward to a day trip that would give Lisa a chance to safely run around outdoors. We set out with some fruit in our basket, but we wanted to pick up something really fresh for our picnic. 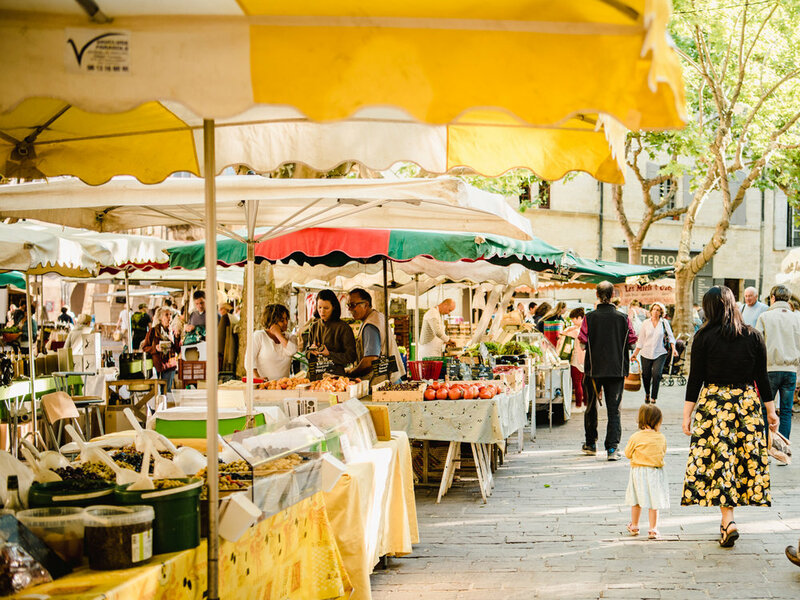 We drove past the park to the small – and incredibly quaint and beautiful – town of Uzes (Google Maps) to shop at their farmer’s market, we have been here before so we know what to expect. 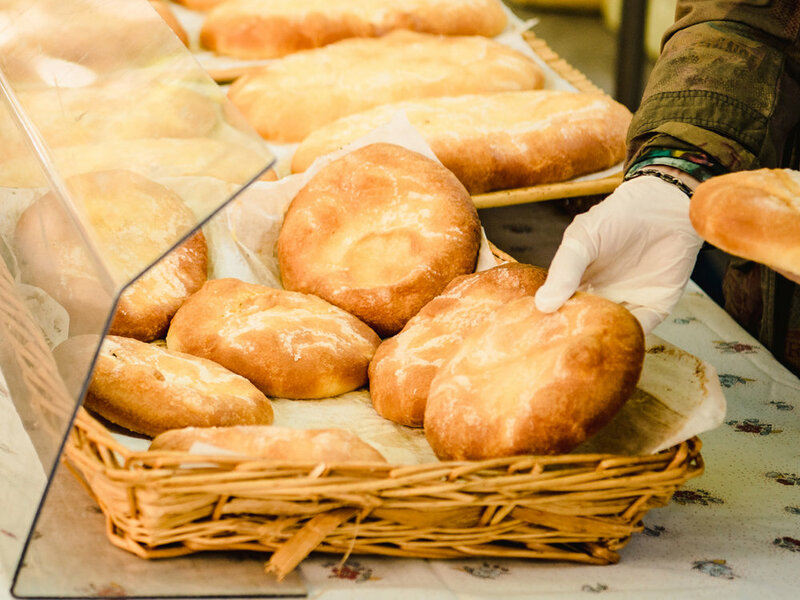 The baker at the market had almost sold out of sweet orange blossom brioche – before she had even finished setting up! We had been eating this kind of brooch since Paris, and we hurried over and bought the most fresh and moist orange blossom briocheI’ve ever tasted — I’ve since cut off eating orange blossom brioche all together, because I don’t think I’ll ever come across another one that’s better than this. Actually, I haven’t seen one since. 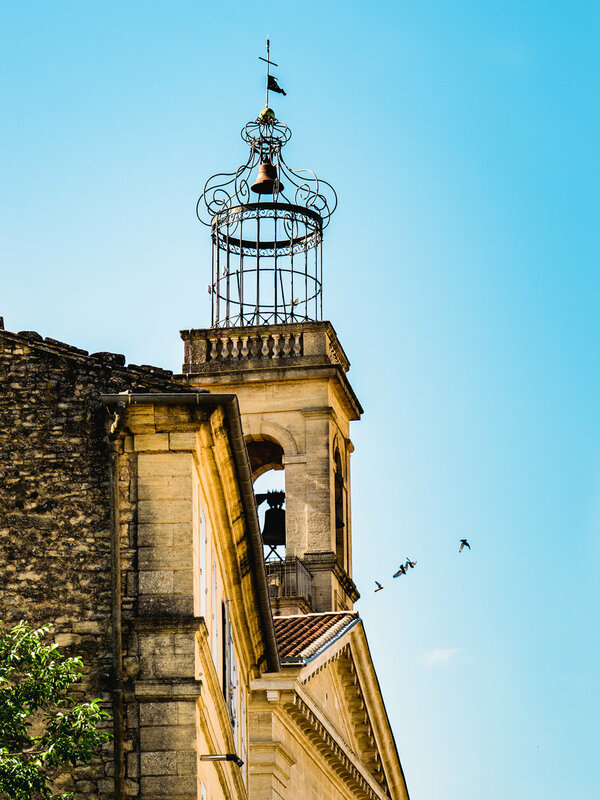 On the way into Pont Du Gard, we passed through the town of Vers-Pont Du Gard with the most beautiful and ornate bird cage-topped steeple. 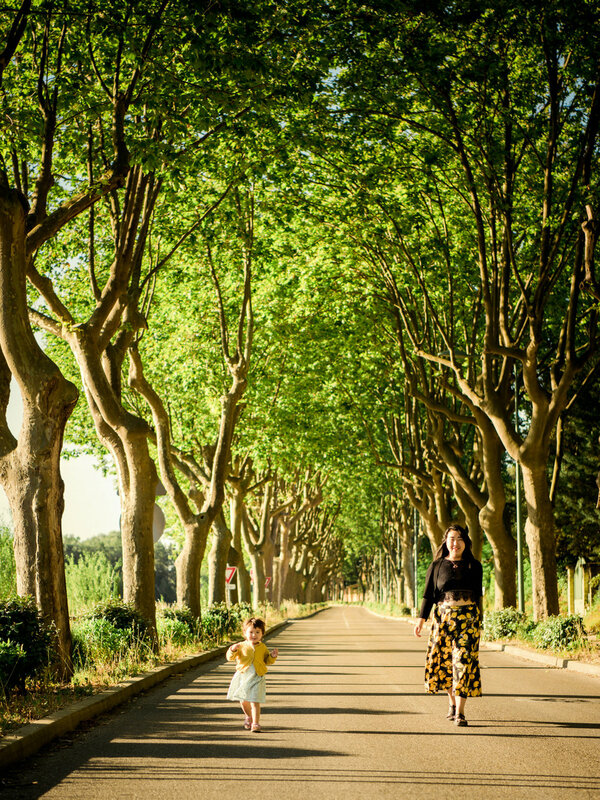 Then we finally went on our way, passing the lovely tree lined road leading to the park entrance. It was just one of those magical south of France mornings and we were all enchanted by the small towns that we’d passed on the way there. I don’t think there’s anything more fun than a picnic and everyone has their favorites, we know Lisa’s top pick is the watermelon! By the way, for this photo, Jake exposed for the highlights to get a proper exposure. If you want to know why (or what he would have done differently if we were on the other side of the aqueduct) you should read his e-book, Easy Manual Mode Photography. In our guide to Provence lavender fields, we recommended renting a car to explore the South of France, and we stand by that. I don’t really see how you could possibly relax like you want to if you’re being led around by a tour bus. 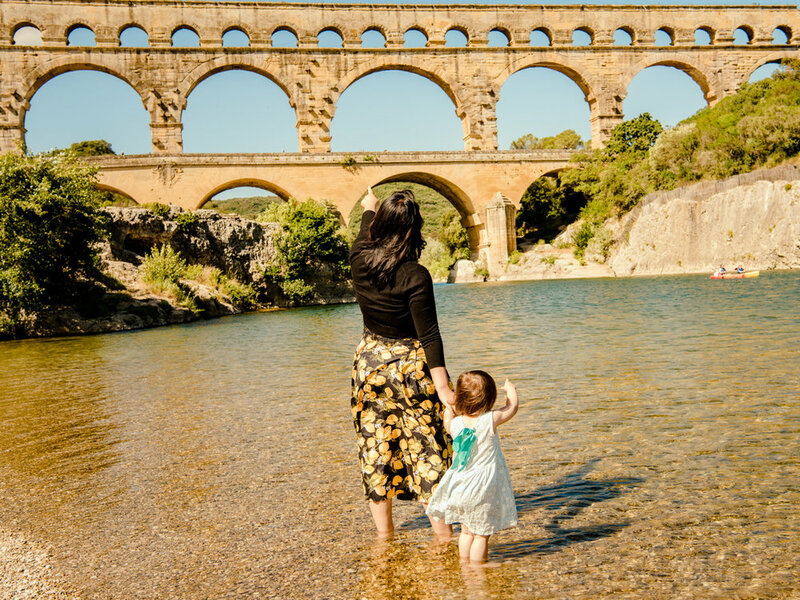 Just plug Pont Du Gard (Google Maps) into your smart phone and let it take you there. Tickets are 9.50 Euros ($10.90) for adults, and kids under 18 are free. 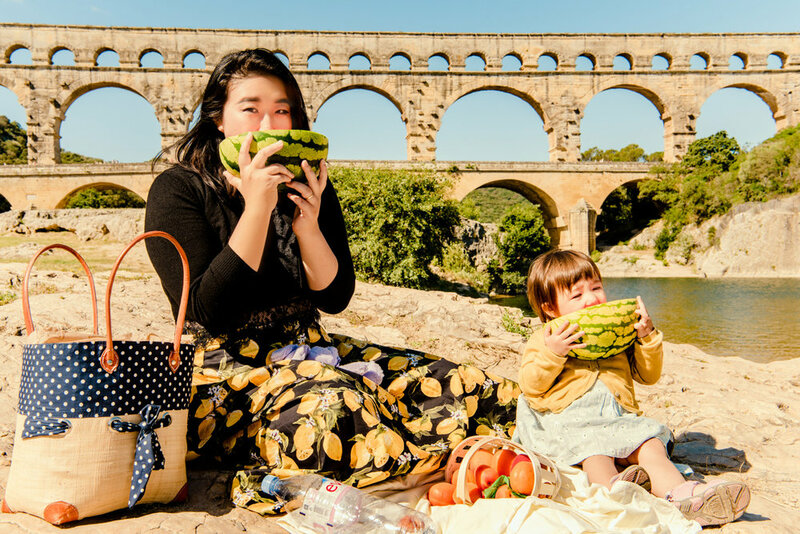 The hours vary a lot by season, so I’ll just direct you to Pont Du Gard website so you can check when the gates open during your trip. The parking is free if you buy a ticket to the park from the booth inside the parking lot. If you don’t, you have to pay a fee, so make sure you save the ticket to validate your parking. This is not made clear in English before you enter the parking lot. During our time in Europe, and beyond, picnics in fun places became sort of a thing for us. 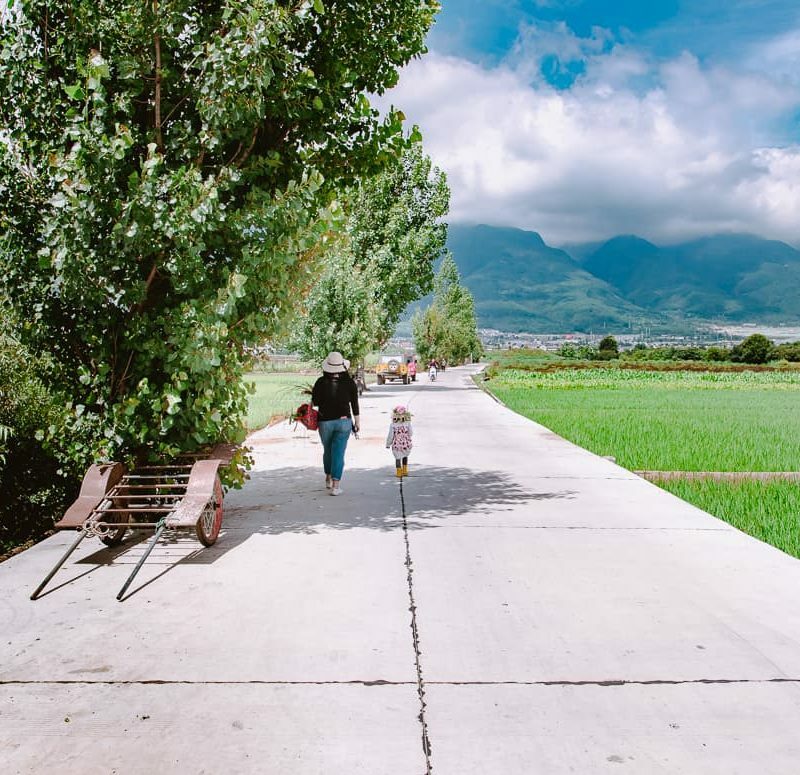 You can check out some of the other places we enjoyed a snack with great scenery (Portree, Scotland – The Aqueduct Park in Rome – Wangu Tower in Lijiang, China – Under the Eiffel Tower). Thanks for reading. 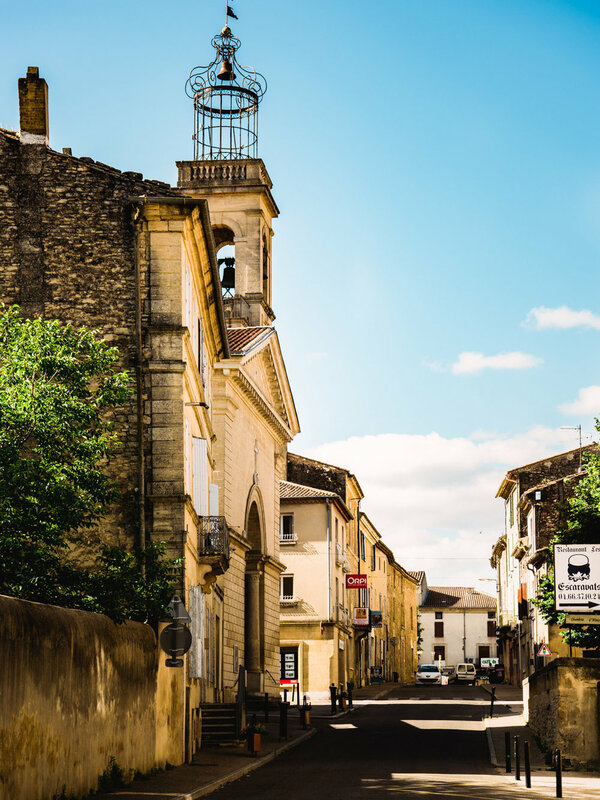 If you are looking for more things to do during your stay in the South of France, have a look at some of our other articles about Avignon and Provence. 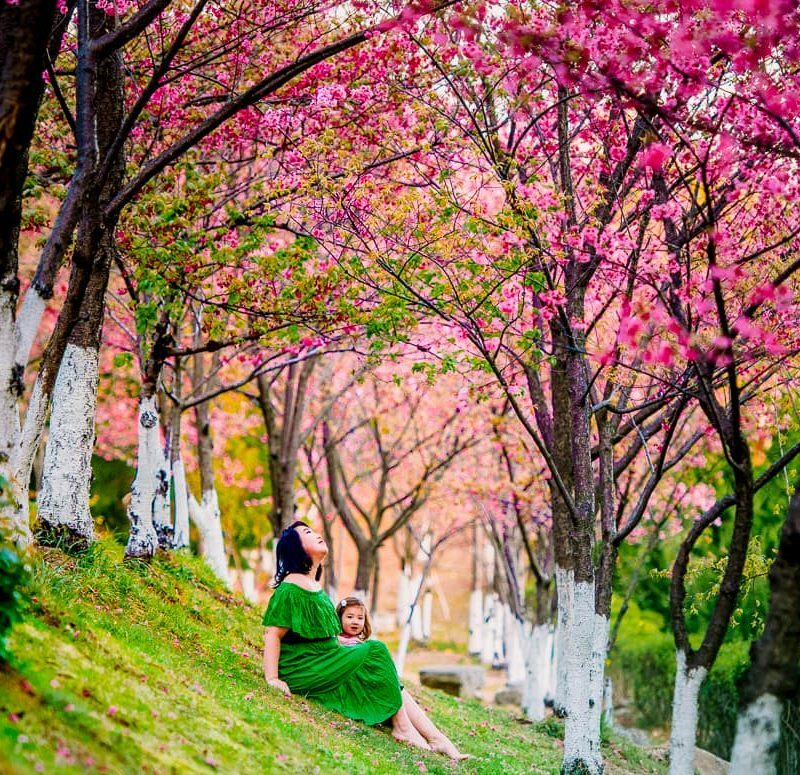 And if you are planning for a much longer trip, we have material about many other destinations in Europe and Asia. 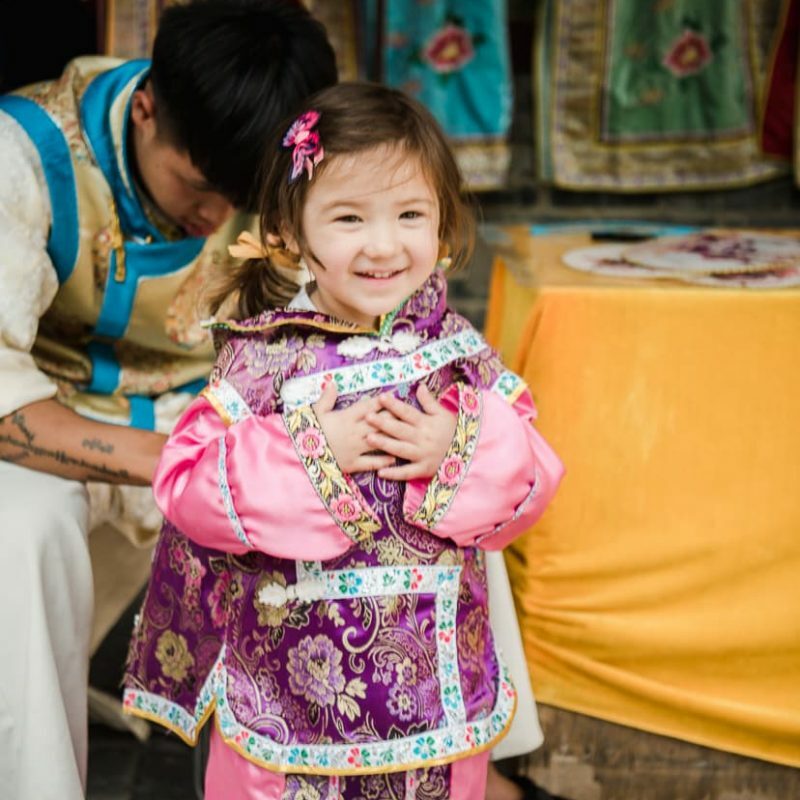 And finally, if you would like to help support this website and our family travels, pay a visit to our shop while you are getting ready for your next big adventure.